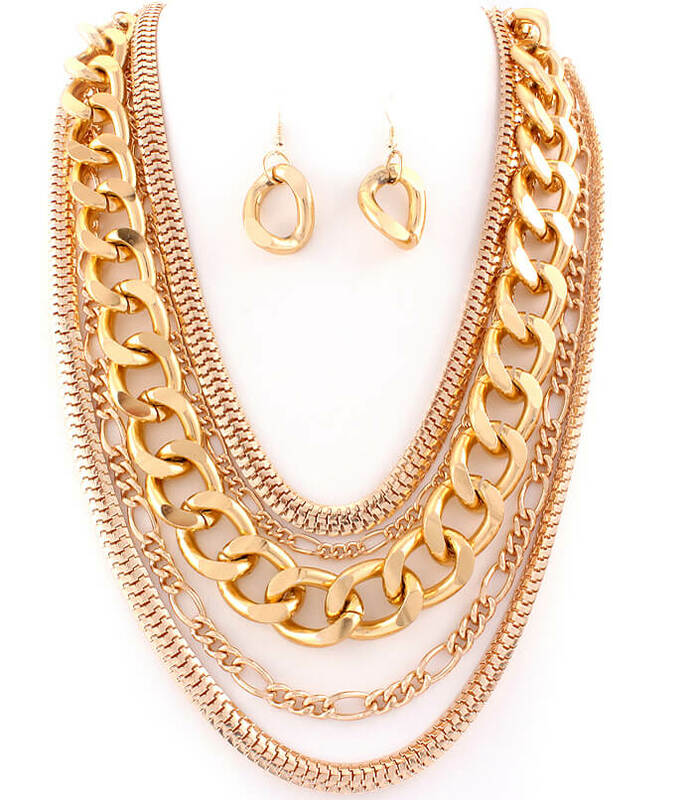 Wear this versatile necklace set with a simple and elegant outfit. The necklace consists of five gold filled chains of different design and dimensions with a large rustic central chain. The earrings feature a bent gold link pending on a hook fastening. Get fantatsic value when you buy your fashion necklaces at Oz Bling.